That’s great news, because a new poll shows that’s exactly what voters in the 19th District want. Delgado won a razor-thin victory over Republican incumbent John Faso in last year’s hard-fought election, even though New York’s 19th Congressional District voted for Donald Trump by almost seven points in 2016. A poll conducted in 10 districts that sent a Democrat to the House of Representatives in 2018 after supporting President Trump two years earlier, including NY-19, found that voters overwhelmingly oppose the obstructionist stance taken by Democrat leaders in Congress. Just 28 percent of respondents said they want their representatives to back House Speaker Nancy Pelosi’s refusal to consider any funding for a border wall, while 70 percent want them to either vote for President Trump’s proposal or work toward a compromise. In fact, 53 percent explicitly support building the wall, with only 43 percent opposed, and a stunning 61 percent support the President’s border security policies more generally. 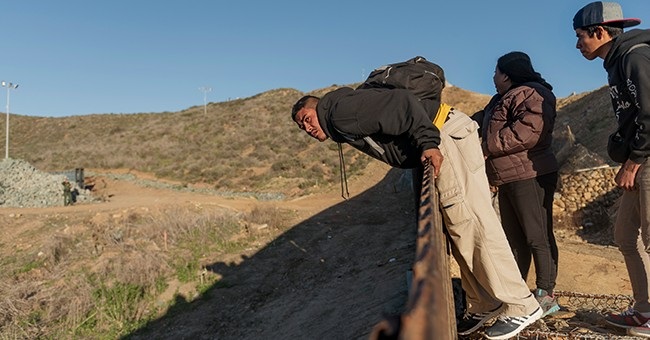 Although Delgado says he still personally opposes building a wall, he insisted that he believes in border security and is “listening to what the experts say.” That’s an encouraging sign, because 89 percent of the U.S. Border Patrol agents who work to keep the border safe every day say that physical barriers or walls are necessary to secure the border. President Trump has suggested several compromise proposals in hopes of enticing Democrats to drop their obstruction of the 234 new miles of border wall requested by the Department of Homeland Security. Nancy Pelosi, however, rejected all of these olive branches out of hand, even shooting down the President’s offer to include extended protections for those covered by Deferred Action for Childhood Arrivals (DACA) and Temporary Protected Status (TPS) before he even delivered it. It remains to be seen whether Rep. Delgado was serious about his willingness to consider input from border security experts, but that’s clearly what his voters want. If Delgado looks at the facts on the ground with an open mind, he’s going to see that the border security measures in President Trump’s proposal — including new Border Patrol agents, immigration judges, improved technology, and border barriers — are essential to achieve the bipartisan goal of securing America’s borders. As Congress sits down over the next three weeks to finally hash this all out, swing-district congressmen like Antonio Delgado are going to hold the balance of power. Let’s hope he takes advantage of that situation to deliver the functional government and secure border his constituents are demanding. Roger Rascoe is the County Chairman of the Ulster County GOP in New York.